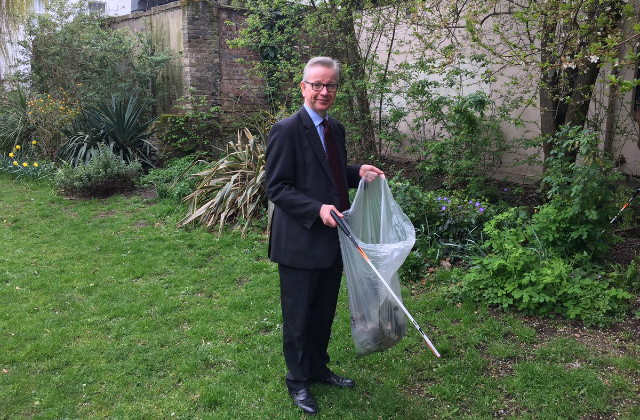 There was further, extensive coverage in the Daily Mail today over the weekend to kick off the Great British Spring Clean (GBSC) 2019, including coverage of Environment Secretary Michael Gove attending a litter pick in West London. The campaign is being run by Keep Britain Tidy in Partnership with the Daily Mail, and has been backed by the Prime Minister, Environment Minister Thérèse Coffey, and Wilkos. The annual event calls on communities to clean up their local area through local litter picking events. More than 460,000 people have signed up or taken part already, building on last year’s 370,000 #LitterHeroes. The Mail also ran picture specials on Sunday and Monday, with a number of schoolchildren joining celebrities such as Julia Bradbury and Anne Robinson to tidy up their neighbourhoods. I am delighted to be taking part in this year’s Great British Spring Clean. I commend the Daily Mail and Keep Britain Tidy for rallying communities up and down the country to make a difference for our precious environment. It’s great to see first-hand the impact the campaign is making, and I’d urge everyone urge everyone who can to join me in taking part. Environment Minister Thérèse Coffey, litter-picker in hand, took to the streets of Woodbury on Friday to take part as well. You can read about this in Friday’s blog.